I’ve been contemplating how to do this post for awhile, but I’m so done worrying over it. Its time to fan girl about my favorite physical feature. And the Idol group who cashed in on it. I’ve mentioned before that I”m a sucker for blue eyes. 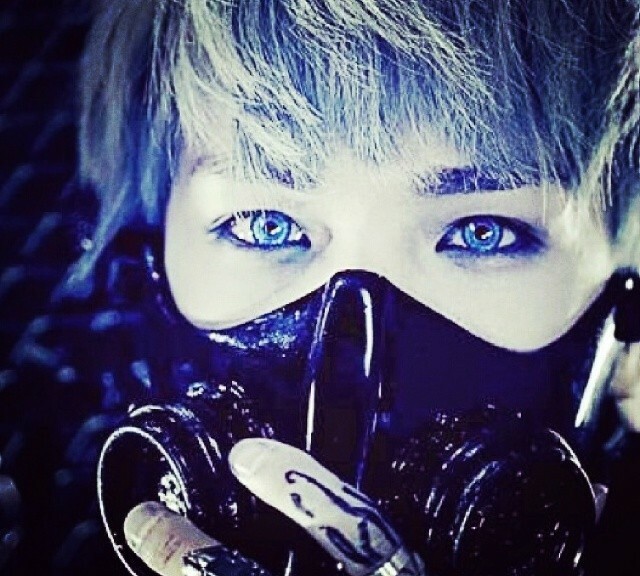 I love when these asian idols put on blue contacts and pair it with dyed hair. It gives them a very anime/other-wordly/fantasy look. I’m a goner. 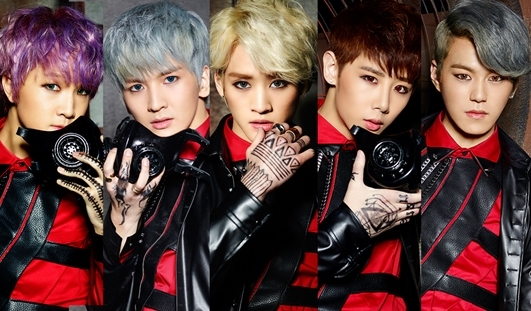 A year ago, Lu:kus debuted with their first single “So Into U” and released a video set in some future distopia. Underground tunnels with big fans and a snowy/ashy surface requiring breathing masks over gorgeous faces. Make no mistake, the boys of Lukus are very handsome young men. For the video, several of them decided to wear colored contacts and the effect on me was devastating. Of all the debuts that have happened in the last 12 months, this one stuck with me. As cute as the lot of them are, it was Dong Hyun that was doing the most damage to my imagination. Here, let me show you what I mean. 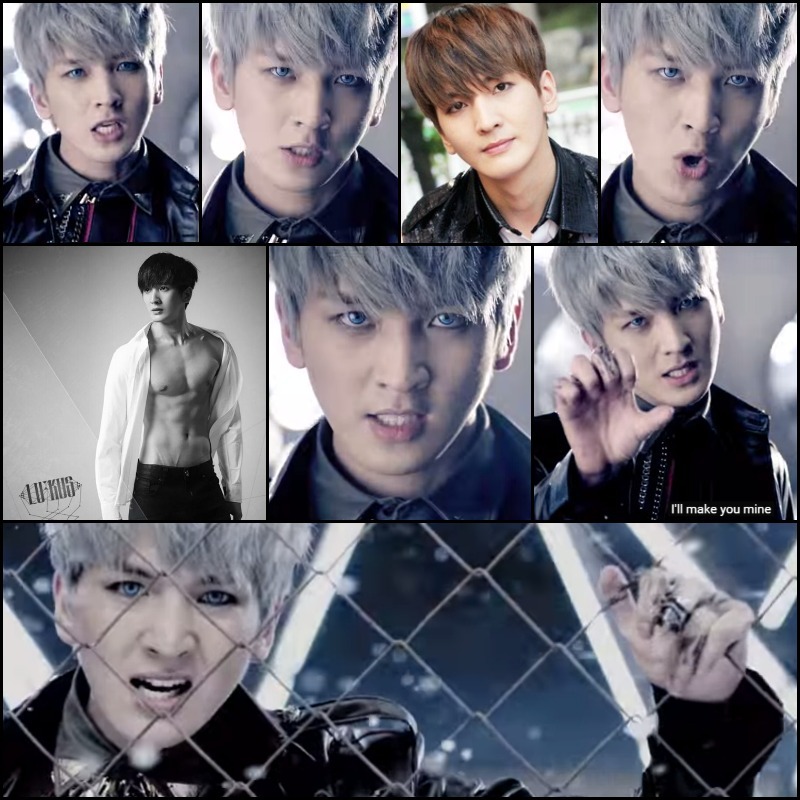 So, here’s a collage I made to show you how different Dong Hyun looks with blue contact lenses and blond/blue hair. He looks so different with blue eyes. Took me awhile to believe it was the same guy. Not every idol looks great when they dye their hair. They sometimes pick shades that clash with their coloring. As you can see, Dong Hyun pulls this look off beautifully. Choi was also pulling off the blue eyes with purple/pink hair but the look wasn’t as startling to my senses as what Dong Hyun did. Even Jinwan has a shot with blue eyes. J-one and Kyungjin also seemed to be wearing colored contacts at some point. And while I loved it all, it was still Dong Hyun for the win. With the release of their second single ‘Break Ya’ their hold on me just grew stronger. I even loved their cameos in Kill Me, Heal Me.